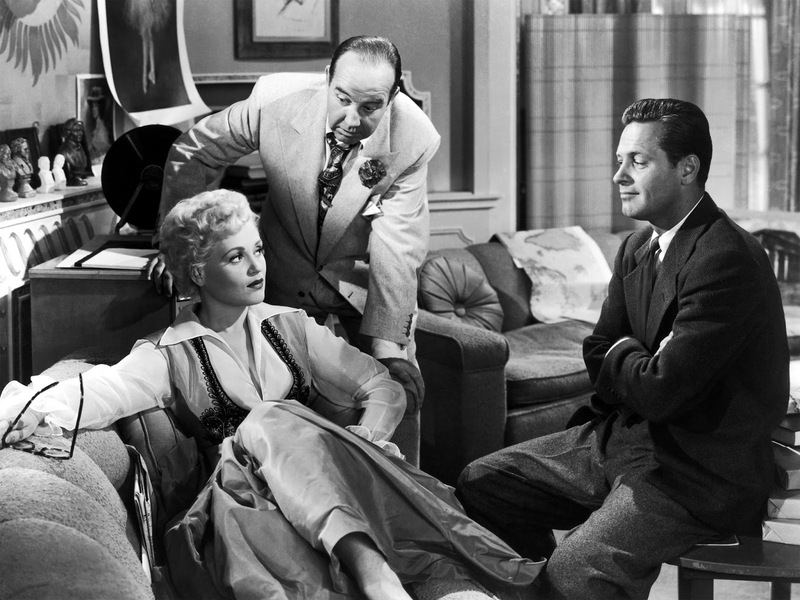 A loutish junk tycoon (Broderick Crawford) travels to Washington D.C. to buy a Senator and hires a journalist (William Holden) to cultivate his ditsy, equally unrefined girlfriend (Judy Holliday). As the pair inevitably hit it off, she is also informed of the nature of her boyfriend’s business and his bullying personality. From Garson Kanin’s hit stage play which also starred Holliday, Born Yesterday contains often dumb, cornball humor and is occasionally amusing while much of it is an uninspired civics lesson. Holliday is the quintessential ditsy blonde (in an Oscar winning role), Holden is stiff as a foil to Crawford, the latter being entertaining as the brute.